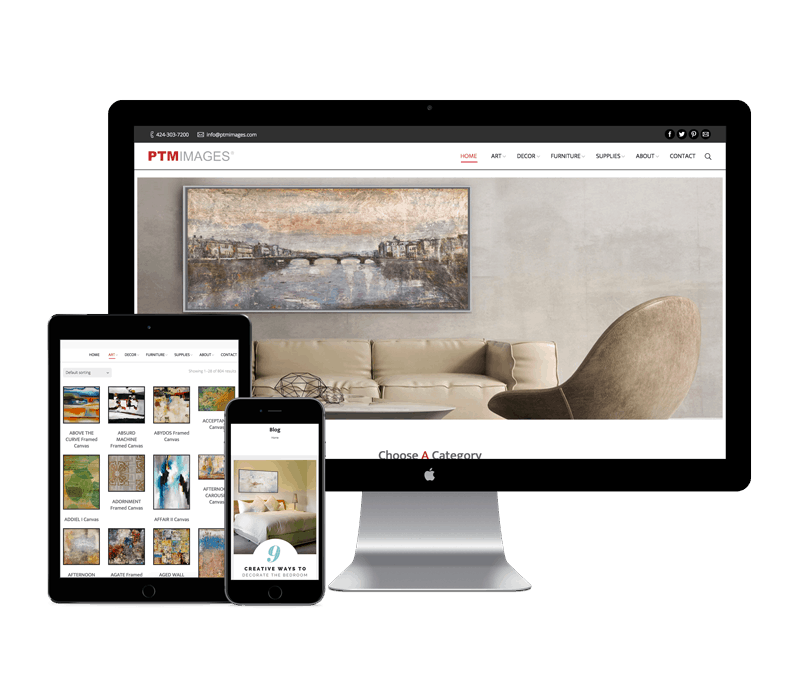 How to take PTMiamge, a successful, traditional art decor business and introduce/implement a digital strategy to keep up with the growing digital demands of customers. Adapting not just for customers but to stay competative in the industry. We started out by building out a new mobile responsive website fully kitted out with WooCommerce, bulk product management as well as shipping and payment fulfillment. After the foundation was set we created and built social media channels with unique value ad content, ran campaigns to build future followers. This was all implemented with the help of Facebook, LinkedIn and Adwords campaigns. Build up social channels with tools, giveaways, ad campaigns and value ad content. We did extensive keyword research to find the customers in different stages of their buying decision to target unique search ads to. We build a mobile responsive website that had all the core needs and information available for browsing customers. We introduced a blog for SEO building and enabled online sales. Overall this was client revamped its 5 year old website, optimizing it for mobile, SEO and purchases. To assist the new website growth a strong social presence across Facebook, Instagram, Twitter, LinkedIn, Pinterest and Houzz was built. PTMimages successfully evolved to an online brand and presence.